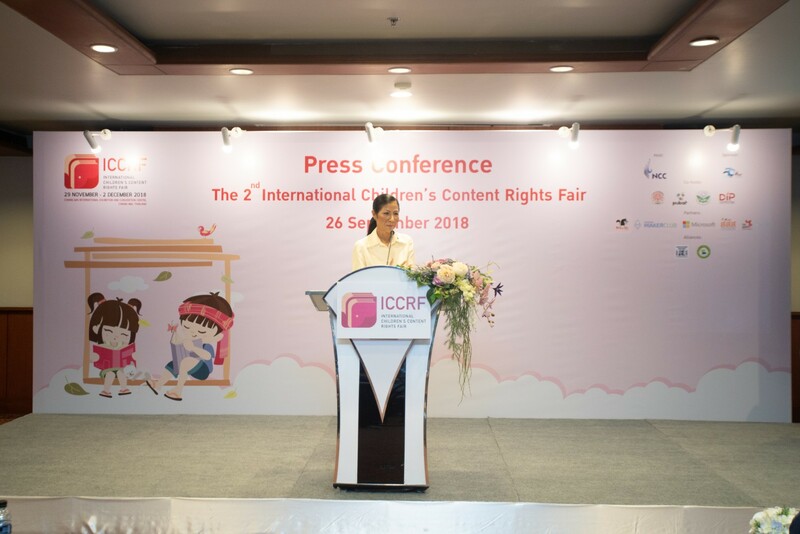 Bangkok, Thailand, 26 September 2018 – N.C.C Management & Development Co., Ltd., Thailand’s premier private sector venue management company, organizes “International Children’s Content Rights Fair: ICCRF”, ASEAN’s first and only children’s content rights fair, to be held from 29 November to 2 December 2018 at Chiang Mai International Exhi-bition and Convention Centre (CMECC) in Chiang Mai, Thailand. 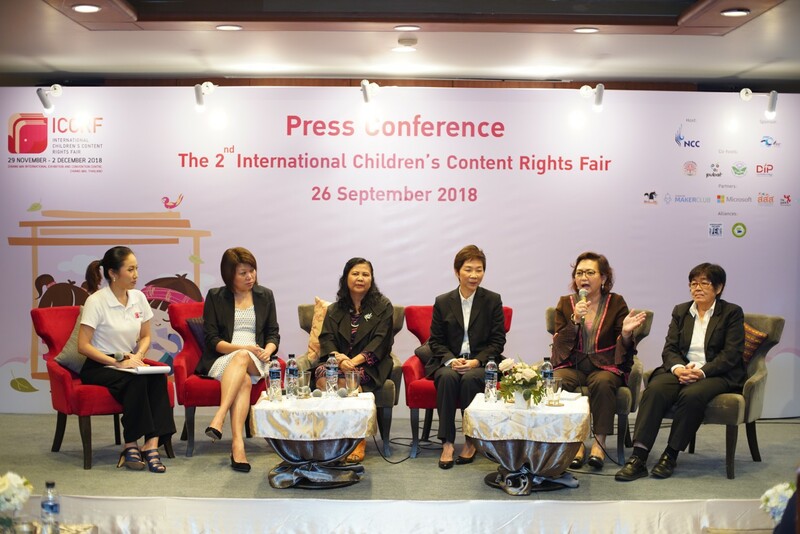 The fair will be a mar-ketplace to business deals on creative content rights by supporting and stimulating the interest in the buying and selling of book copyrights and creative contents relating to children and young adults genres in the ASEAN region and beyond. ICCRF will be held under the “Creativity Beyond the Page” concept. 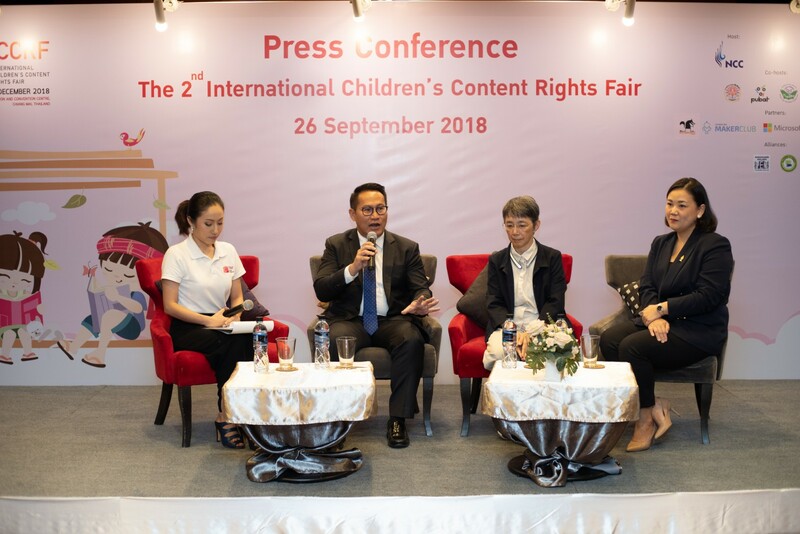 It’s not only a fair that emphasizes on being ASEAN’s first marketplace for buying and selling children’s content rights for print media and technology, but also the first event to integrate art exhibition with innovation or “art meets IT”. 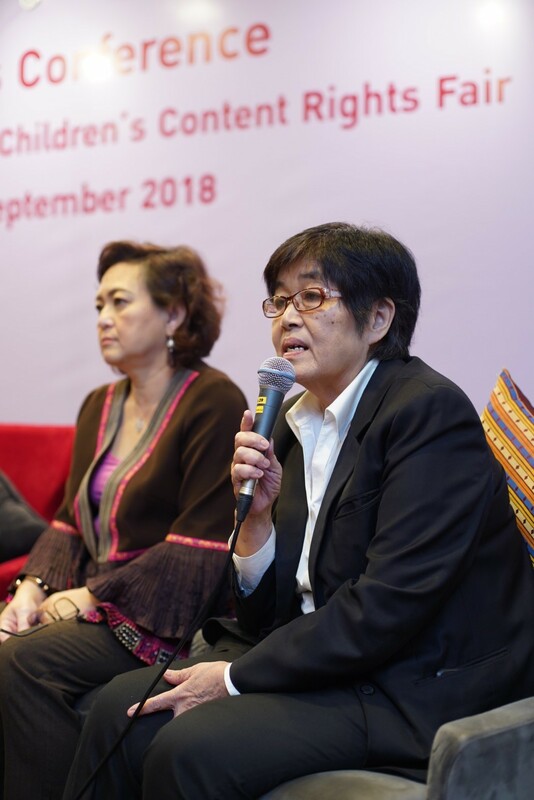 The event aims to promote a network of collaboration between entrepreneur in media and technology for children and young adults industry, copyrights owner, authors and illustrators in ASEAN and around the world. 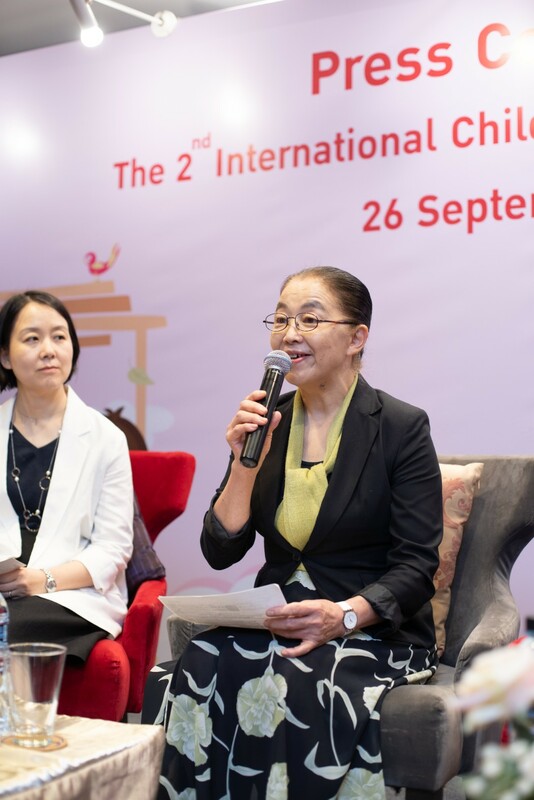 The fair dubbed as “creative marketplace” will open opportunities to Thai and international pub-lishers alike to pay attention and appreciate works of ASEAN people in writing, creative ideas of illustrators and inventors. 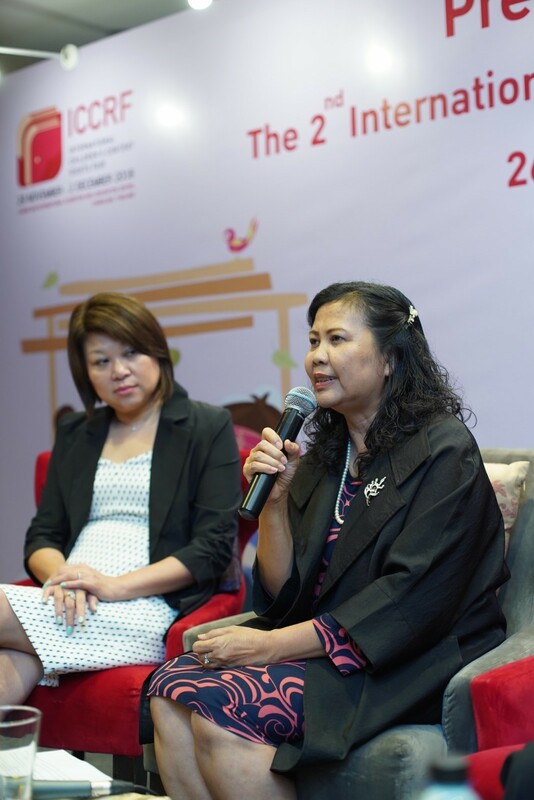 It highlights on their potentials in education innovation for children and young adults in ASEAN and international markets. 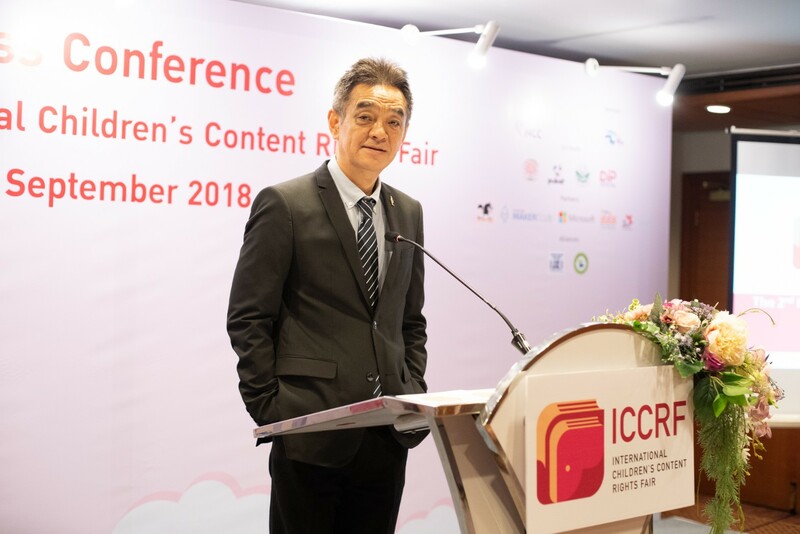 Trasvin Jittidecharak, chair of the ICCRF Organizing Committee said that this project will elevate Thailand status as the knowledge exchange center by being the proper buying and selling channel of intellectual property with fairness. 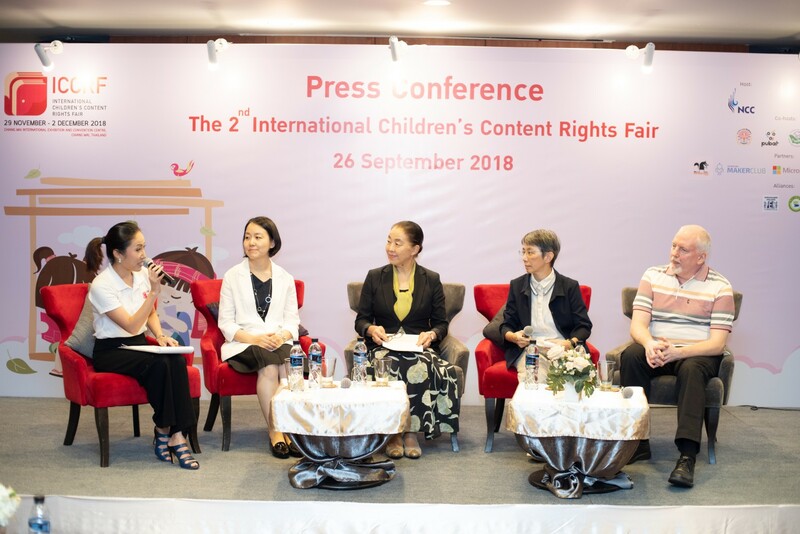 While the initiative will encour-age more innovations for children and young adults, ICCRF will also be an arena for au-thors and publishers across ASEAN countries and Asia-Pacific region to meet and ex-change ideas. 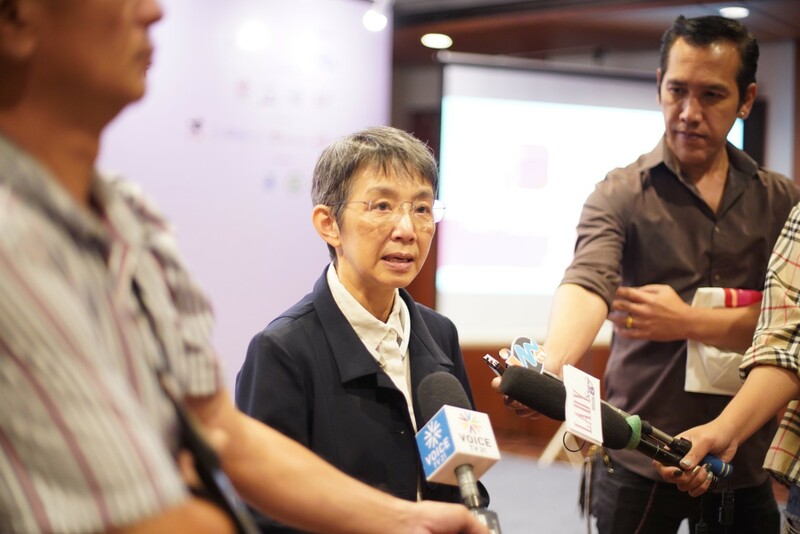 This event is also to encourage Thai people to produce creative work, and to instil enthusiasm in analytic thinking among its people and turn innovative ideas into tangible outcomes across every community in Thailand. Hosted by N.C.C. Management and Development, ICCRF is also supported by Bangkok Airways, Chiang Mai Municipal, Department of Intellectual Property, under the supervi-sion of Ministry of Commerce, The Publishers and Booksellers Association of Thailand, Big Bad Wolf, Microsoft (Thailand), Thailand Knowledge Park, Books for Children Foun-dation (ThaiBBY), Chiang Mai Maker Club, Thai Health Promotion Foundation, P.E.N. In-ternational Thailand Centre, and the Translators and Interpreters Association of Thailand. 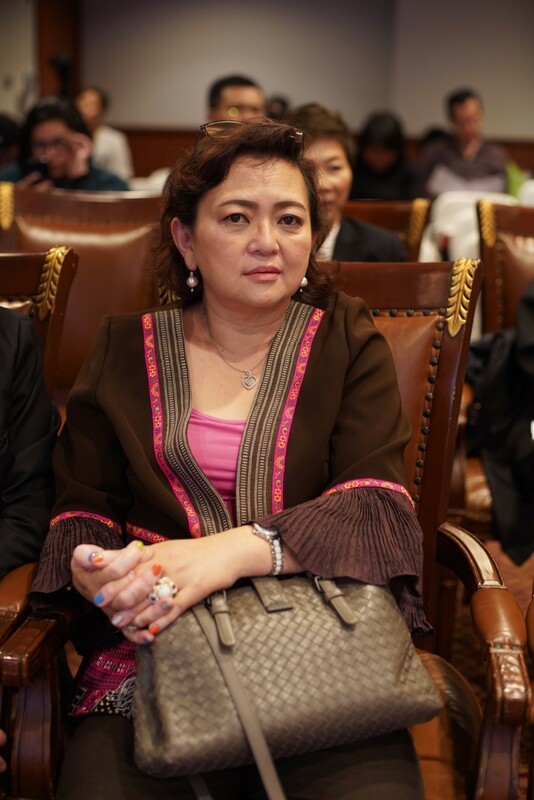 The judges include Keiko Hamada, director of Japan Children’s Book Artists Society; As-soc. Prof. Krirk Yoonpun, an instructor teaching children’s literature and the owner of Mil-lion Toy Museum; Trasvin Jittidecharak, founder of Silkworm Books; Anders Lindholm, a leading illustrator from Sweden; and Insuk Choi, Ph.D., assistant professor at the De-partment of Family and Child Welfare, Wonkwang University. All of the works from the contestants will be exhibited at the 2nd ICCRF. The event’s attendees will also have access to valuable knowledge and participate in many inspiring activities such as talks and special activity by Anders Lindholm, a reputa-ble Swedish illustrator who will share knowledge and demonstrate his illustration tech-niques by integrating picture on paper with multimedia and digital platforms; and a spe-cial paper mache workshop by Joffrey Atienza, winner of last year’s ASEAN Illustration Award. 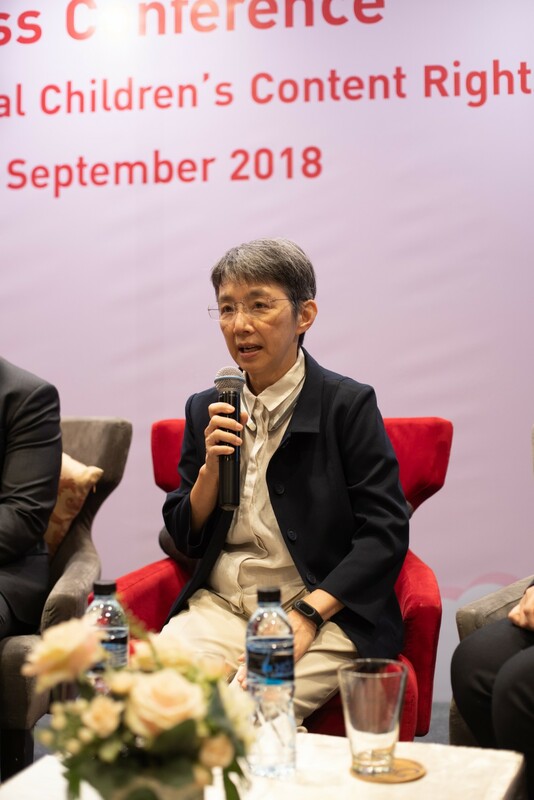 Microsoft (Thailand) will also prepare an innovative workshop to inspire interests among teenagers and their parents while strengthening their confidence that “Coding for creative program or content is not difficult”. In addition, visitors can participate in several workshop sessions by Chiang Mai Maker Club and Thai Health Promotion Foundation. Another highlight this year is the first Big Bad Wolf, the world’s biggest book sale, in Chiang Mai. Big Bad Wolf will bring about one million books with a 60-80% discount to ICCRF for 11 days (29 November to 9 December). Big Bad Wolf will open 24 hours every Friday and Saturday. 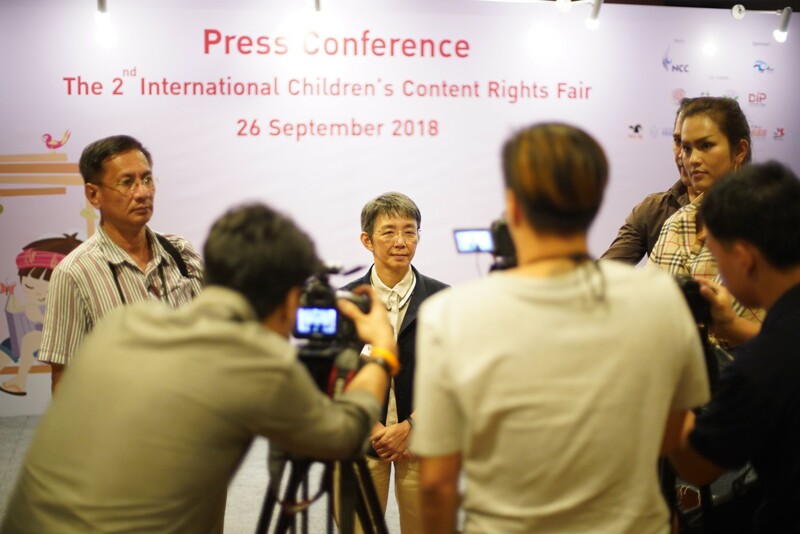 Mark your calendar and don’t miss the event of the year, “International Children’s Con-tent Rights Fair: ICCRF” to be held from 29 November to 2 December 2018 at Chiang Mai International Exhibition and Convention Centre (CMECC). 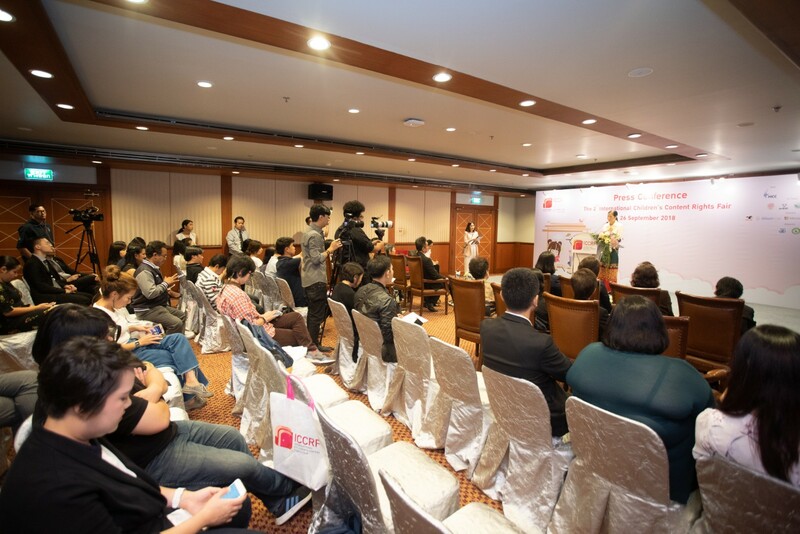 Thai and international publishers who are interested to participate as exhibitors or attendees can obtain further information on the event via our website on https://iccrfthailand.com or contact us at ic-crfthailand@gmail.com.